Mr. Vizcarra and his family emigrated from Tijuana Mexico in 1973 when he was 18 years old. He graduated from The Ohio State University in 1979 with a BS in Education. He then went on to play professional soccer for several teams from 1979-1983. In 1983 he retired to begin his business career with Pizza Hut, where he worked for two years before joining McDonald's Corporation in 1985 and worked there for over 20 years. While at McDonald’s, he held a number of positions from Restaurant Manager to Director of National Training and several Corporate VP positions in the field and at the Global Corporate Headquarters including: VP of QSC, Corporate VP of Franchise Relations, Strategy and Innovation for the U.S. and Corporate VP in the Restaurant Solutions Group, which oversees operations around the world. Mr. Vizcarra led the strategy team that designed and executed the turn-around of the U.S. business. In addition, he led the design of the restructure of the European and the Asia Pacific, Middle East and& Africa markets. Mr. Vizcarra worked closely with Sr. Management for 14 years on a variety of areas of the business. After retiring from McDonald’s Corporation in April of 2006, he founded Vizcarra Consulting Group (VCG) to help CEOs define their leadership platform, as well as the corporate strategy and execution plans to drive the growth of their business. He also spends a significant amount of time as an advisor to established companies and start-ups. 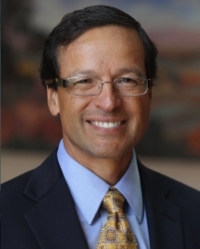 Mr. Vizcarra has served as an advisor to The Coca Cola Company, McDonald’s Corporation, Pechanga Resort and Casino, Sycuan Resort and Casino, ooVoo Communications and Ensequence. He also worked with “Partnership For A Healthier America”, a White House bi-partisan initiative. He currently serves as an advisor to Tender Greens, and Anue Water Technologies. In addition, he serves on the Board of Directors of Del Taco, Tender Greens Board of Advisors and The Salvation Army National Advisory Board. Mr. Vizcarra and his wife Anita co-founded the “College Success Program”, which provides four-year college scholarships and a comprehensive support system to underprivileged students to end their cycle of poverty.